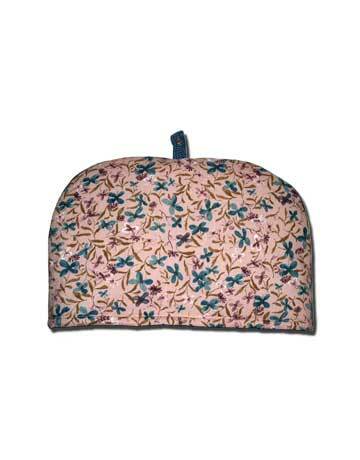 Personal dome tea cozies are designed for 2-cup teapots. 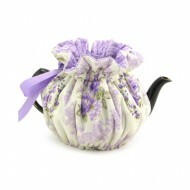 These exclusive handmade tea cozies feature 100% cotton fabrics with coordinating piping and matching lining, as well as a hand crocheted and beaded tab, with 2 layers of extra loft polyester batting to keep our tea at optimal enjoyment temperature. 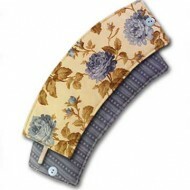 Machine wash/dry. 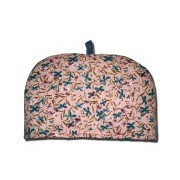 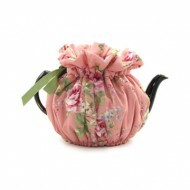 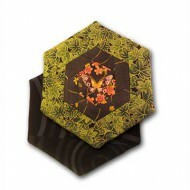 The #9 print Personal Dome Tea Cozy features a pink with plum/aqua floral cover and a plum liner.